Lets face it, we as a human race are fascinated by things that are old. Whether it is an old car, a old house, ruins of an ancient civilization, or even something of nature like a petrified redwood forest, we find it super interesting. For some it is nostalgia, for others it is wonder, and for a few maybe it is just plain cool. 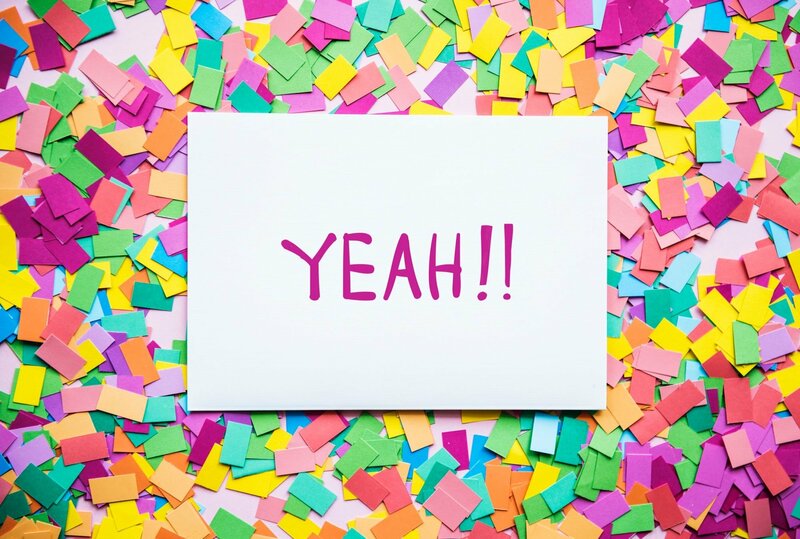 Owing to this fascination, our society has even adopted the use of buzz words such as, vintage, antique, classic, distressed, and ancient into its frequent vocabulary. Music that is 25 years old is now becoming classic (recently hearing Pearl Jam on a classic rock station made me shudder a bit), cars that are 50 years old or older are suddenly antique....... But what the heck is Old Vine Zinfandel? Maybe it's like the "classic car" of wine? Well, now that I think about it old vine zinfandel could definitely be considered the "classic car" of wine! First off, there are not many old growth vines left in the world and they are getting scarcer every year. Many classic cars have not survived through the years and some are quite rare. Second, the wine from old vines is quite a bit different than younger plantings that have not had the time to mature, much like a '63 Corvette Stingray is quite different and much more unique than say a Tesla Model S. Third, both are deeply steeped in human history. My second point has to do with uniqueness. Sure a Tesla Model S is a sleek looking car, but it sort of looks like every other car out there today. When somebody drives by in a 1938 Chevy Coupe, your head definitely turns! This is kind of like tasting a true old vine Zinfandel (more on this later) up against a regular Zinfandel wine. If you ever get the chance it is a night and day difference! Because old vines were planted long before common irrigation practices such as drip irrigation were implemented, their roots naturally run very deep. 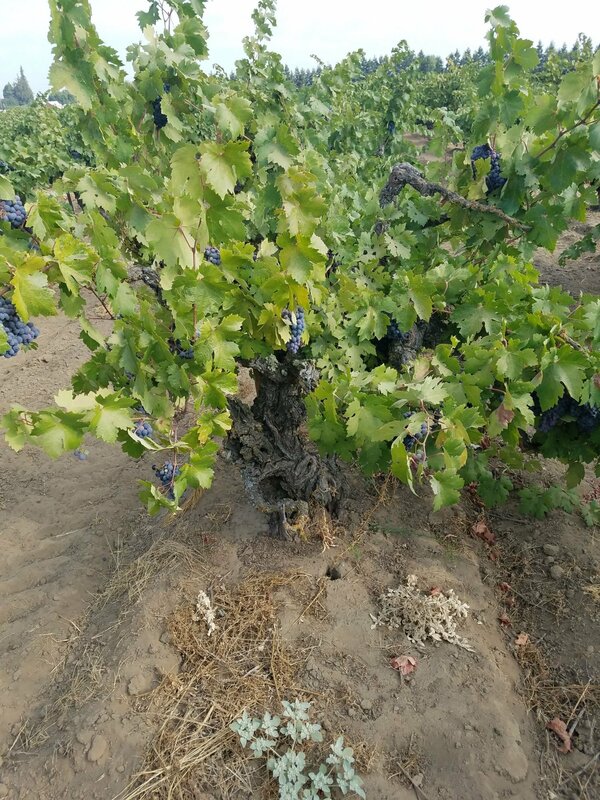 This means that old vines are more slow and consistent in their growth throughout the year because they wont exhibit a huge flush of growth when water is added either by irrigation or rain. In a young vine, the roots are relatively shallow (owing to common day drip irrigation) and are much more reactive to water. So what does this mean? Well, you tend to see less raisining on old vines than you do with younger vines. They have fewer grapes on them to keep hydrated, and because their roots are massive and right where the water is the grapes never dry out, or what we would call "raisin". Now to be fair hot days in Lodi can still ultimately cause the grapes to shrivel a bit, but the effect is much less pronounced in older vines. So "young vine" Zinfandel will have much more jammyness and cooked fruit character than old vine Zinfandel. Also because they have fewer grapes, old vine Zinfandel ends up having more concentration of flavor since the vine isn't trying to "spread the love" out to so many grapes like a young vine does. You will be able to tell a true old vine Zinfandel by how much less oak and jammy-ness is in the wine. If the flavor is there and its great, why would the winemaker want to cover it up with lots of oak and sweetness? That has been our mantra for a long time now with our Campus Oaks OVZ. Just enough oak to give it that nice baking spice and just enough sweetness to boost the perception of being super fruity, but not so much that you loose the pepper,bramble berry and anise notes that are indicative of old vine Zinfandel. Finally my third point, and I'll keep it brief. It goes without saying that cars are a man made invention and single handidly revolutionized transportation around the world. So therefore they are steeped in human history. Zinfandel grapes were introduced into California during the gold rush because they grew so well in our climate and soil. There were no modern irrigation practices back then, so the overwhelming majority of the vines were dry farmed. Fast forward to prohibition and many vineyards were torn up, save for a few Zinfandel vineyards that survived making sacramental wine and grape juice. These survivors are many of the few vineyards left having century old Zinfandel vines. We are extremely lucky to have been able to make wine from 85 year old Lodi Zinfandel vines which have gone into our Campus Oaks Old Vine Zinfandel. Our other vineyards range from 38 years old to 50+ years old. I am confident in saying that our wine is a true old vine Zinfandel wine, or one of the few classic cars of wine! If I may, I would like to step up onto my soap box and conclude this article with a question. Why do you see "Old Vine" everywhere when the vineyards are so endangered and scarce??? The simple answer is marketing. The more complex answer is "we used to make wine from old vines, but the vineyard is no more and we can't change our marketing strategy so hopefully nobody will notice." Well, it's been a long time coming and a very necessary step into the present so here it is, our new website! All of us at Gnekow Family Winery are so excited to launch this new website and our very first ever blog! I will personally be updating the blog on a semi-regular basis, following the happenings at the winery and posting pictures of what is going on. 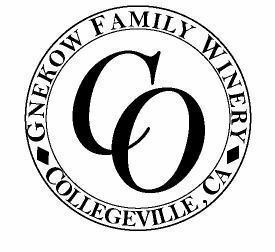 Please keep an eye on this page to get to know our staff, all of the different things we do during the season, as well as recipes and other tid bits involving our wines and what we do here at Gnekow Family Winery.